There are two protective strips covering a front and back sticky surface. Peel off thin protective red strip. Discard thin red strip. Press sticky side to window. Peel off front wider glue strip to expose wider surface of glue trap. Discard protective plastic. Trap is ready for use. Anywhere flying insects are nuisance example: food preparation areas, near trash and garbage containers, inside stables, kennels and barns. Flies, gnats, wasps, moths and many other flying insects. Replace every 3 months for maximum results. 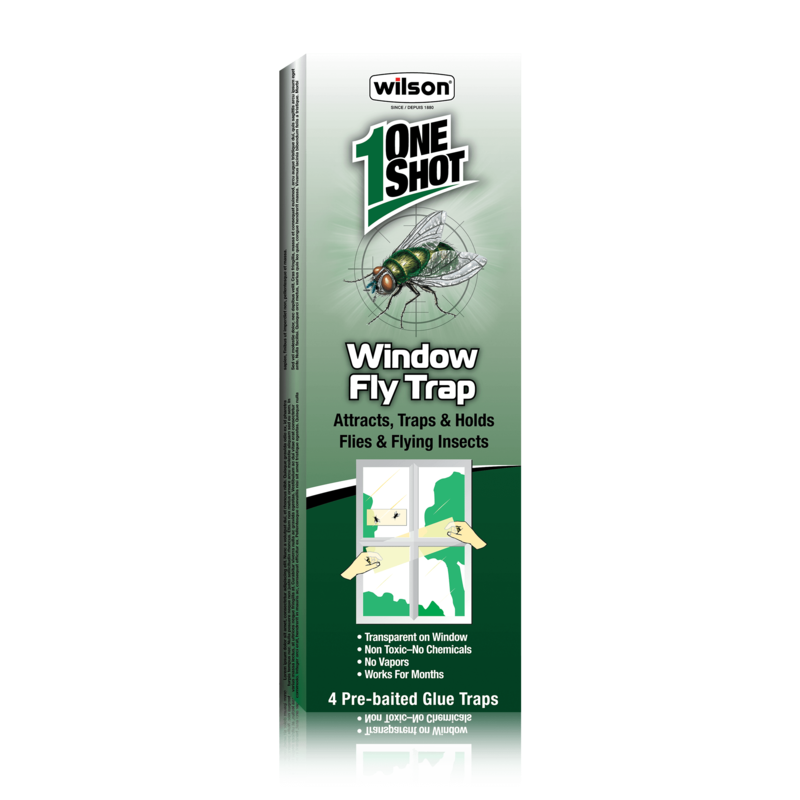 Flying insects are attracted to windows by light and heat. Insects are soon attracted, trapped and held by the pre-scented trap. To discard, wrap used trap securely in newspaper, paper or plastic bag and dispose of in the trash. Keep out of reach of children and pets. In case of contact, remove adhesive using paint thinner, mineral spirits or any light oil such as baby oil. Read label carefully before using the product.